RT-AC87U vs RT-AC87R - The Same Asus Routers? 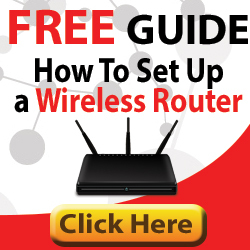 You Are Here: Home → RT-AC87U vs RT-AC87R – The Same Asus Routers? So the RT-AC87U has been out for a few months now. It has since been joined by the RT-AC87R. A commonly asked question is…. So, the Asus RT-AC87U vs RT-AC87R – is there any difference between these two routers? Are they just the same? Well, the short answer (actually, the only answer) is NO! They are both exactly the same. So, what does the ‘R’ and ‘U’ mean? ‘R’ = Retail. This is what you will see in your local electronics shop (and sometimes online) for example. ‘U’ = Universal/Web. This is a less used code that is used more by online retailers. So there you have it. You have nothing to worry about by going one over the other. To save yourself trawling around to see what the RT-AC87’U’and‘R’ actually does, we’ve provided the key features list below. Asus have given the RT-AC87U/R a seriously cool stealthy look. It can sit flat or can be wall mounted. But what else does it have……? Local streaming, online gaming, downloading…between Wi-Fi and Cable LAN or USB, it doesn’t matter what you do, the RT-AC87’U’and‘R’ can handle the pressure with no worries. This AC2400 router comprises of two bands. You get 2.4Gbps data rates on the on the 5GHz bad, and 600Mbps on the 2.4GHz. With speeds like this, online gaming and streaming become a more pleasurable experience. All without having to drag cables around the home. MU-MIMO (next generation MIMO) will be on hand whenever the MU-MIMO wave of adapters get released. MU-MIMO handles MIMO for multiple clients simultaneously. This greatly enhances performance when there are multiple wireless clients online at the same time. Network performance gets a further improvement with Asus’s built-in traffic management system. Great for those of you who use the Internet based on fragile traffic types. Gaming, streaming & Skype etc. AiRadar is Asus’s branding for beamforming technology. AiRadar basically directs Wi-Fi signal in the direction of wireless clients as and when they need it. It improves coverage, speed and reliability, especially at greater distances. USB ports on a router these days is an expectation. On AC routers, having USB 3.0 is definitely an expectation. Plug in your USB 3.0 drive into this port to enjoy HD streaming and fast file transfer. Use the second USB 2.0 port as a backup or maybe for an older 2.0 drive. Fast, Fast, Fast Internet – How? In order to get the fastest Internet speeds from your provider, Asus uses hardware NAT to translate traffic to/from the Internet. The vast majority of routers use software based NAT, which can be cumbersome and drain resources. There’s also the option to have redundant WAN and LAN links should you need them. The RT-AC87’U’and‘R’ can be converted to use DD-WRT, which lets you take more control of your router. PPTP & OpenVPN clients can interoperate through the Asus. Create up to 6 guest networks. Actively scans (with Trend) your local network and helps protect against viruses. Also protects against scrupulous sites. Online storage with AiCloud. Access your files from anywhere securely. Very interesting, Leo. I didn’t know there was a white version! I’ve done some investigation, and I believe you are correct that ‘W’ is for ‘WHITE’. It looks like these white routers are a limited edition and appear only to be available in parts of Europe. For North America at least, I’m standing by what I said in the article… with regards ‘R’ and ‘U’. On what basis do you claim it is DD-WRT comaptible? I could not find any online source for that, and the DD-WRT compability list does not include this model.